The Scottish Highlands is known for its stunning vistas, rugged mountains and Rob Roy. And while the region is steeped in history and culture, it is also home to world-class venues and a host of incentive activities, all set amidst spectacular scenery. C&IT checks out what's on offer. Kingsmills Hotel: Situated only a mile from Inverness city centre, the luxurious 134-room Kingsmills Hotel is set within four acres of manicured grounds. The hotel has a selection of meeting rooms that can accommodate small meetings to large gala dinners. The conference and events venue is ideal for larger events, accommodating up to 485 delegates.Team building events around the Kingsmills grounds range from golf to Segway riding. Achnagairn House: A stunning listed property steeped in history, Achnagairn House retains all of its period features. Each bedroom and bathroom is entirely individual in style, and a new development of nine luxury lodges in the grounds of Achnagairn Estate has increased the capacity while maintaining the historic mansion’s five-star feel. The stunning vaulted ballroom is an ideal venue for meetings, conferences or dinners, taking up to 200 people seated. Cruise Loch Ness: While famous throughout the world for its most elusive resident, Loch Ness is also a unique and special place in its own right. Cruise Loch Ness has been operating on the loch for 45 years, offering daily boat trips and cruises throughout the year from Fort Augustus. Experiences range from a tranquil cruise taking in the spectacular Scottish scenery aboard the Royal Scot, to a more exhilarating power boat trip on rigid inflatable boats (RIBs). Each RIB can fit a group of 12 people and has a top speed of 40 knots. Ackergill Tower: Further north lies Ackergill Tower, one of the world's most exclusive retreats. 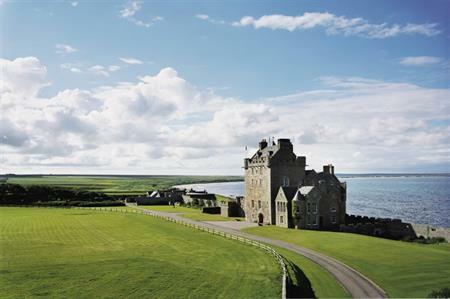 A Scottish castle with accommodation offering unrivalled peace and seclusion, it also has a meeting capacity of 220. With views extending to the Orkneys, the newly opened Sinclair Palace, part of Ackergill Tower, has original stonework and timber beams. It offers banqueting capacity for 150 and reception space for up to 200 guests. Sinclair Palace also links through to the Seaview, offering the flexibility of additional reception space and a bar. Macdonald Aviemore Resort : As Scotland’s largest residential conference centre, the Macdonald Aviemore Resort is situated in the heart of the Cairngorms National Park. With more than 400 bedrooms on site, a 650-seat auditorium, 1,000sqm of exhibition space, the 450-seat Peregrine Suite and nine flexible breakout rooms, the resort is a popular venue for large-scale business events.